The latest work party took place at Tebay earlier today. Despite only a few people being in attendance, a lot of useful progress was made. Work focused on the interior of the driving trailer coach (29896), the interior of which is being steadily stripped. Today was spent removing seat cushions and other internal fittings. Also removed was the great variety of spare parts acquired over the course of the unit’s preservation career, and which had been piled up inside since leaving Steamport. The trailer car is now largely clear of such items. Weather permitting, it is expected that a work party will take place at least once a month throughout the year. Any member of the group is welcome to attend. If you don’t have any previous preservation experience, don’t worry: the only requirement is enthusiasm (and an ability for some physical labour from time to time). If you attend we will definitely find something for you to do! For more information on becoming a member, please see our membership page for details of the payment options available, including cheque, standing order or PayPal. 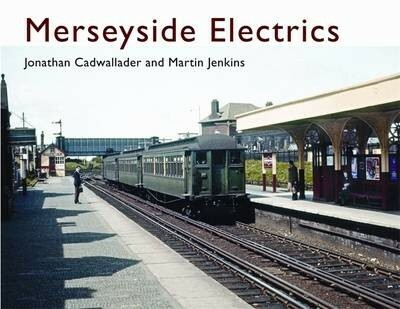 Just released from Ian Allan Publishing is the excellent new book, Merseyside Electrics , by Jonathan Cadwallader and Martin Jenkins, now available to buy from our shop page. This 80-page photographic album documents the rich heritage of the routes of the Mersey Railway, the Lancashire & Yorkshire and London & North Western Railway which make up the current electrified railway network around Liverpool and Merseyside. Every angle is covered, with scenes of rolling stock, depots, yards, tunnels, stations, signal boxes as well as passengers. Each picture is accompanied by a detailed caption and the accompanying text has been painstakingly researched. Two photographs of “our” 502 are included — one showing it in service on the Crossens branch, and the second of a run in preservation in 1986. This book is highly recommended for anyone interested in any part of Merseyside’s railway history. You can buy it online from Amazon via our shop page, where a percentage of the purchase price will go towards group funds. Many Merseysiders will have woken to the sad news, reported in today’s Liverpool Echo , of the former Mersey Ferry, Royal Iris, which has ended her days half-sunken and derelict in the River Thames after falling into disrepair. The Iris , like the 502, is an important part of Merseyside’s transport history and deserved to be saved. The 502, however, is fortunate to have a dedicated group of volunteers working to restore the unit. Unfortunately due to a lack of manpower and funding, progress is very slow at the moment. Therefore we would ask you to refer to our previous message, originally posted last March, about equipment required. If you have not already done so, please also consider becoming a member of the Friends of the 502 Group and donating your time and/or money to the project. We are still searching for a site on Merseyside where the 502 can be housed securely. If you think you can help us with this or in any other way, please contact us.